Johnny Cash performs at Folsom Prison on November 8, 1966. Photograph from the Sacramento Union Archives, D-350. You’ve probably heard Johnny Cash’s famous song, “Folsom Prison Blues,” and may know that Cash performed his live album, Johnny Cash at Folsom Prison, at the prison in January 1968. 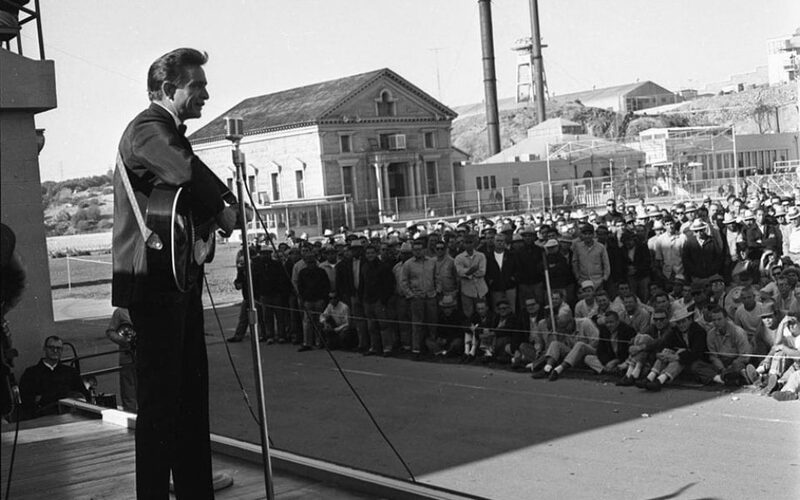 But did you know that his first concert at Folsom Prison was 50 years ago today? On November 8, 1966 (the same day that Ronald Reagan was elected governor of California), Johnny Cash performed at Folsom Prison in front of approximately 1,800 inmates. 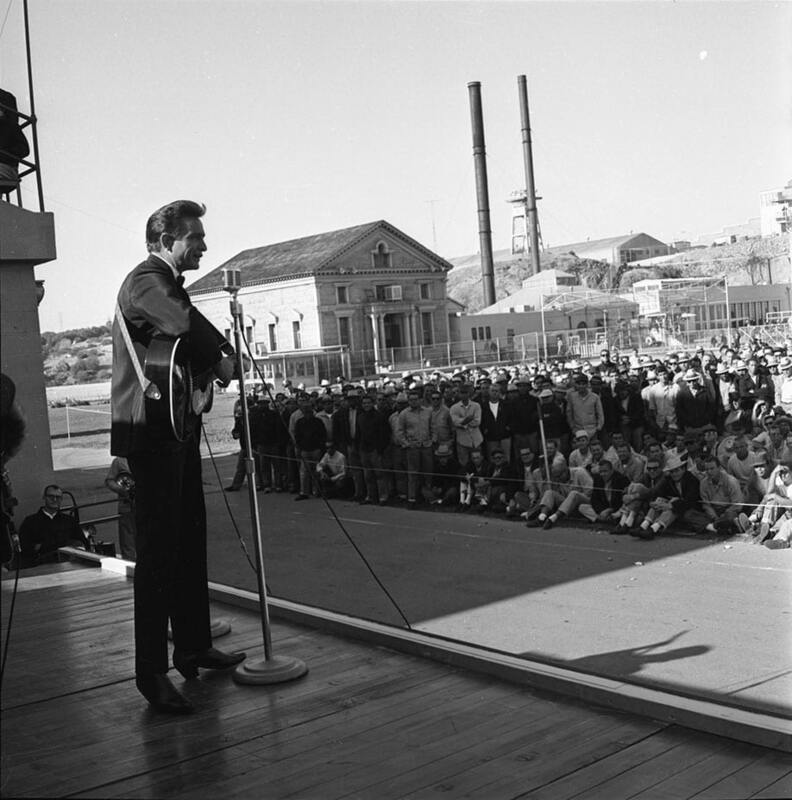 Although Cash wrote his famous song “Folsom Prison Blues” in 1955, it wasn’t until this 1966 concert that he first stepped foot in Folsom Prison. 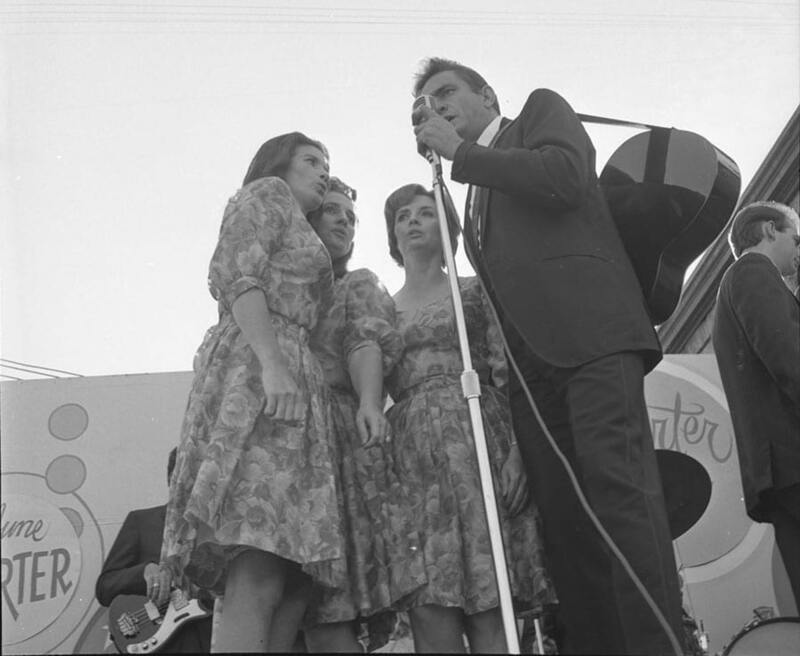 According to the November 9, 1966 Sacramento Bee article, “Folsom Inmates Brave Chill for ‘Friend’ Cash,” the concert also featured the four female singers, Maybelle Carter, June Carter, Helen Carter, and Anita Carter, who were known as the Carter Family. The Statler Brothers, another opening act, provided takeoffs on Dean Martin, Bing Crosby, The Ink Spots, and the McGuire Sisters. The photographs of the concert, seen below, are from the Sacramento Union Newspaper Archives. Until it closed its doors in 1994, the Sacramento Union was the oldest daily newspaper west of the Mississippi.